I am 62 and have a 7 figure IRA which I'm trying to convert to a ROTH as much as possible before I hit 70 1/2. (I can't do this anymore after that - right?). My tactic is to make conversion(s) early in the year after December distributions when the prices are lower and/or when the market is down. My idea is to move as many shares as possible so they'll grow in the ROTH. I've made 3 conversions this year and will recharacterize the 2 with the highest share price, i.e. keep the one that moved the most shares to the ROTH. All 3 conversions were for the same amount, so the tax hit is the same for each. Everything I read says to recharacterize the ones where the price has dropped the most, but that makes no sense to me for my strategy. Am I missing something? Hi Sky: Having a $600,000 portfolio generate $30k-40k per year for at least 25 years might be a bit of a stretch as you'd be spending 5-6% of your portfolio per year. There is real risk you could run out of money. That said, it still may be possible if you are willing to adjust your spending in the future depending on how your portfolio performs. www.kiplinger.comIf you're hoping to earn a decent return on your money, the best place to stash it depends on how soon you'll need it. Linda - I'm not familiar with the insurance limit you mentioned for Texas, but your question really revolves around your savings habits I believe. Since you said you're already maxxing out your 401(k) and IRA contributions, you're doing an awesome job of saving. Keep up the good work. Regarding the annuity, I'm not sure I completely understand your question. So you have a $4,600 contribution going into an annuity that you'd like to redirect to a brokerage account? It's impossible to answer that specific question in this forum for lack of information. My hunch is that you should just keep saving and not stress out too much about which savings vehicle you're choosing. Thanks for your question! Thank you. I am 52 and may just want it for 2nd income stream. We have significant money in retirement and 350 k in liquid. I have a child going to medschool in a couple years as well as another entering college. From the calculator I could get 12k a year without affecting this particular nest egg. I believe i could do the withdrawals from 54 to 60 without triggering the penalty. Are most people successful in doing the withdrawals or is it risky? Hi Dennis - You've obviously thought this through and I applaud you for a healthy skepticism about future tax rates. Anyone who has watched to ballooning federal budget defiicits knows that federal funds will be under pressure, as they are already. I've already said in this chat that I love the idea of having multiple buckets of money for retirement. Say that all I've got is a traditional 401(k) or IRA and I'm 67. Then at age 69 I realize that I need $10,000 for a new roof on my house. Ooops. Now I have to take $13,000 or $14,000 from my IRA, enough to cover the tax bill, and then have $10,000 left over for the roofer. With a Roth IRA, I don't have to gross up the roofer bill for income tax. That's a quick example of why you should continue your saving strategy. Keep up the good habits! Bettie, the problem is not the ROTH IRA, it is the annuity inside the ROTH IRA. As ROTHs eliminate all future taxation of growth, there is rarely any need for an annuity in this type of account. Tax benefits are one of a very few reasons to use an annuity but you pay for them with the internal charges within the annuity which are usually very high and eat into performance. So what you need to do is check your annuity contract. When can you get out of the contract without any or low surrender charges (often up to 10 years from the start date)? Are you giving up some guarantees which is why you purchased it to begin with? If it isn't going to cost you much, think about cancelling the insurance contract. Then roll the proceeds into a ROTH account at a discount brokerage and invest as you please. I have done this with clients when there were still remaining but low surrender charges. Such charges decrease ever year you have the contract. Hi Bob R. First, timing the market is a tough game to win. Even the smartest in the world get it wrong all too often. So, let's focus on your cash flow needs. If you need your RMDs to live on, then having some conservative investments makes more sense. On the other hand, if your income needs are met by Social Security and perhaps a pension, you don't need to be as conservative with investments. The other consideration is how your interest and dividends are being used. For examples, you could have dividends and interest paid in cash instead of being reinvested. In this way, dividends and interest could be used for your RMD rather than have to sell a security that dropped in value. Deborah, now that you've given me more information, an annuity may very well be appropriate. If your goal is to have stable reliable income so you can sleep at night not worrying about the stock market, then by all means check into an annuity, which is a stream of income. A very conservative investor may not feel comfortable with stocks, bonds and mutal funds. You have to be able to weather the inherent risks involved. Ask people you trust for a referral. Thanks for the follow up! Hi Bettie: Thanks for your questions. I'm sensing some confusion around Roths. First, I'm not sure what you mean by "Roth Mutual Fund". A Roth IRA is a type of tax-deferred account. You can hold mutual fund investments inside a Roth IRA account. Second, the 5-year rule for Roth IRAs applies when you want to withdraw money out of the Roth. It does not apply when transferring a Roth account from one provider to another. Third, if you want to move your current Roth account to another provider (an lower-cost, non-insurance company like Vanguard, Fidelity, Schwab, eTrade would be preferred), you would want to check to see if there are any surrender charges or other costs for doing a transfer. www.kiplinger.comSee 1, 3, 5 and 10-year returns for Kiplinger 25 funds as well as other key data. Click on the fund name to see individual profiles of our favorites, or click the ticker symbol for a daily market snapshot of the fund. 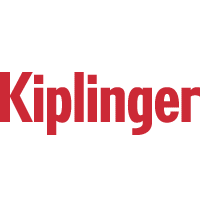 www.kiplinger.comDiscover mutual funds that match specific search criteria, compare mutual funds, and download and save fund results for personal analysis. Hi Jason B -- We have your question in the queue. We're answering the questions in the order they were received, but we will get to yours soon! If you have to leave, the chat transcript will be here later. Bob, let's see..... You get to deduct the mortgage interest so that would save on taxes. You have to pay taxes on IRA distributions so that would increase your tax bill. Also, if you took a lump sum distribution of $150K to pay off the house, your tax rate would probably increase substantially and you might have a phase out of your deductions and exemptions because of the high income (also at high incomes, an additional medicare tax could kick in on your investment income.). Bottom line, the technical answer is to keep doing what you are doing. That said, some people feel a compelling need to pay off the house and that would make them sleep much better at night. If this is you, check with your tax advisor to see the tax impact of such distributions. They might suggest you take out lump sums over several years to keep the tax bill down. No problem, Jason! Thanks for submitting a question. Scotteeth - You pension provider should be able to guide you on terminating a DB plan. However, my experience is that it can take a year and it can be an expensive proposition. As far as other savings vehicles, you could look into a 401(k) plan or a SIMPLE IRA, both of which are employer-based. Normally, in a 401(k) and I believe a SIMPLE too, you can set limits on who you contribute money to based on the number of hours your employees work. Since you have two VERY part time employees, they may not be receiving current benefits anyway? You didn't say if they were hourly or not. We're just getting started with today's event, folks. We'll be here until 5pm ET, but some of our planners will be coming and going throughout the day. A BIG thanks to each of them for their smart, free advice that we all can learn from! Chris, rising interest rates will affect all types of bonds, some more than others. For instance long-term, high yield, and emerging market bonds might see bigger declines than the average if interest rates go up. Using a ladder is a good way to buy individual bonds. For now, I am keeping the maturity dates no longer than mid term and have shortened them up for my portfolios as a whole. Remember, regardless of what happens to the price of the bond in the interim, it is going to pay face value at maturity and you will also get the cash flow you expected when you made the investment. The rest is just noise. Hi ADK. When selling a large amount of stock, you have a few choices. A sell order, a trailing stop order (place the stop under the current price, if the stock moves up, move up your stop), or an option strategy such as a collar. Once the stock is sold, the next step really depends on what the rest of your finances look like. If the stock is in an IRA or other retirement account, adding to a well diversified portfolio with low cost index funds can make sense. If it's not in a retirement account, you could use the proceeds to pay off high interest consumer debt, make your IRA contribution, or if you qualify, your Roth IRA contribution for 2013 (until April 15, 2014) and 2014. There are many financial websites that have screeners to help you find a fund that fits your growth or income needs and diversify your portfolio. One such screener can be found from the chat sponsor Kiplinger. This is Frank Boucher from boucher Financial Panning Services i Reston VA.
Hi Frank, nice to see you today! This is Brian Carlton from HSC Wealth Advisors now in the room! Hi Chris, Thanks for your question! In addition to Bobbie's response, here is Kiplinger's assessment of Interest Rates and the Fed's Taper for you to consider. Hi Brian! Nice to see you! I knew Kiplinger would have a good article that addressed rising interest rates and what to do about them. They are always on top of current conditions. Sky. have you started SS yet? Sky, could you clarify your question since it got split? My mother is 87. She has an annuity that was never annuitized and is currently used as an account to withdraw money when needed - not on any routine basis. Is it better to leave this account as is making a 4% return annually, remove all funds now closing the annuity, or annuitize for some specific time period. Her children do not need any monetary assistance. I have $75k in a savings account that is now getting zilch for interest; have moved it around a few times in the past to maximize interest and know that this is not the most beneficial avenue of return. What is the best route for these $$ ? Would like access though in case of emergency - or a grand vacation or remodeling expense. Kiplinger, I want to know if Iam on the right track. I am 58 and retired. I get $3,800 a month pension. I have taxes and insurance taken out so I monthly net pay is $2,080 a month. House is paid off, monthly bills are about $2,800 a month. I have $400,000 in annuity,Roth Iras, mutual funds. We have a rental that we will net about $80,000 to $100,000 when we sell it in a couple years. I am drawing $2,000 a month from our investments. I expect to live until 90 years old. Does things look like they will work out? Laurie, you might consider keeping some in a bank and some of it in a diversified fund like Vanguard's Wellesley income fund-it has 1/3 is stocks and 2/3 in bonds, with low expense ratio. you need to decide how much you really need on an emergency basis. Sky, I would be cautious about plucking $400,000 into a fixed annuity right now. Interest rates are really low. You could ladder them by buying smaller annuities over several years perhaps in $100,000 increments. I would also look at the payout on Charitable Gift Annuities to see if the payout is higher right now. Assuming I pay off my mortgage prior to retirement, what percentage level of income would you suggest I look to replace? Thank you! I have a quick question. Last year I maxed out my 401k. My wife made $931.00 on her taxes. Can she contribute to an IRA? If so can she contribute $5500 or only 931.00? May I ask one other question? We have 50k we wanted to put somewhere to grow aggressively for the next five years. Are there types of places you would suggest looking. Obviously you can't give exact places, but general suggestions. Hi! I am 28 years old, and I just switched jobs, and my new job has no retirement program. I converted the 401k from my previous job to an IRA - partly traditional (~$38,000) and partly Roth (~$3,000). I was told (by a Fidelity rep) that I should probably convert my traditional portion to Roth (is that accurate?). How can I know how much converting my traditional portion to a Roth will save or cost me over the long-run? How much should I convert and when? My husband and I make around ~$125k before taxes annually. From this point on, should I contribute to the traditional IRA or the Roth IRA? Thank you! Hello Professionals. I have a 53y/o friend just now able to start saving for retirement. She is putting 15% of her 60K into her 401K. Any suggestions on how to maximize that 15%? Is the 401K the right way for her to go this late in the game?